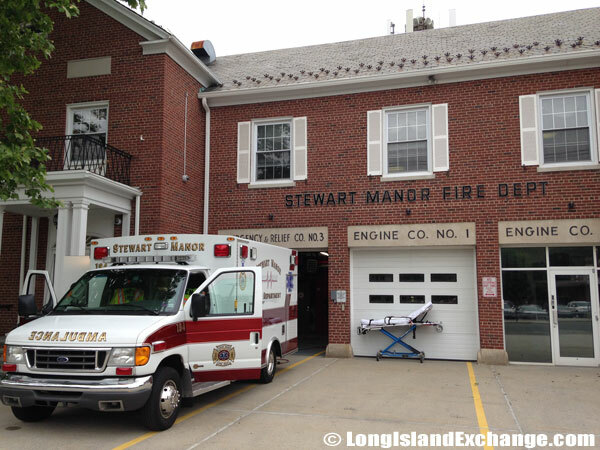 Stewart Manor is an incorporated village located in Nassau County, Long Island, New York. 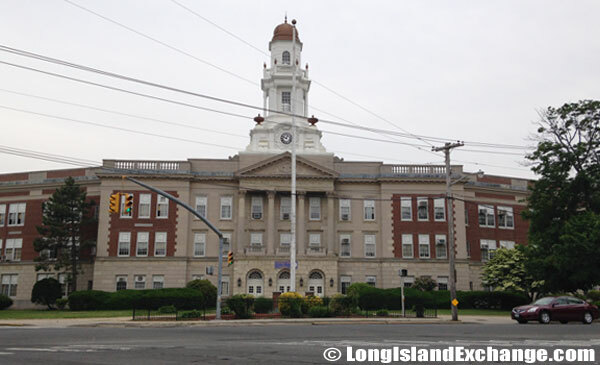 It is within the northern part of the Town of Hempstead. The neighborhood is bounded by the Village of Floral Park on the east, the Village of New Hyde Park on the south, and Franklin Square together with the Village of Garden City on the west. Stewart Manor has a total area of 0.2 square miles, all of it land. 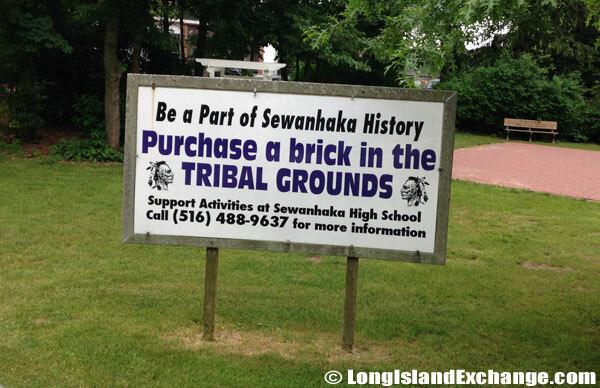 A sign welcomes visitors to the incorporated village of Stewart Manor. 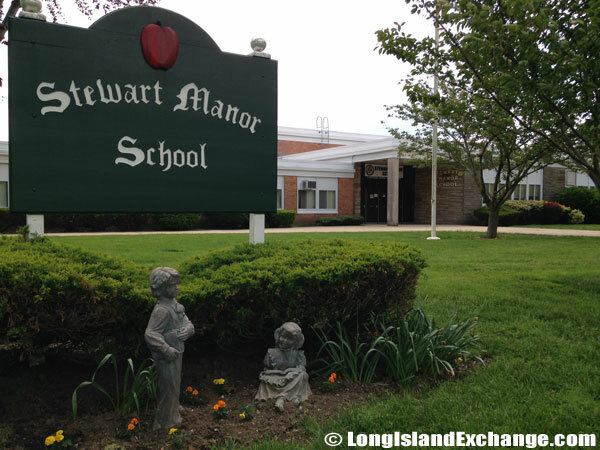 The Stewart Manor School is located at the western end of Stewart Avenue in the village of Stewart Manor. Memorial dedicated to those who gave their lives during the attacks of September 11, 2001. As of the 2010 census, there were 1,896 people, 699 households, and 536 families residing in the area. The median income for a household in the village was $113,068, and the median income for a family was $130,200. 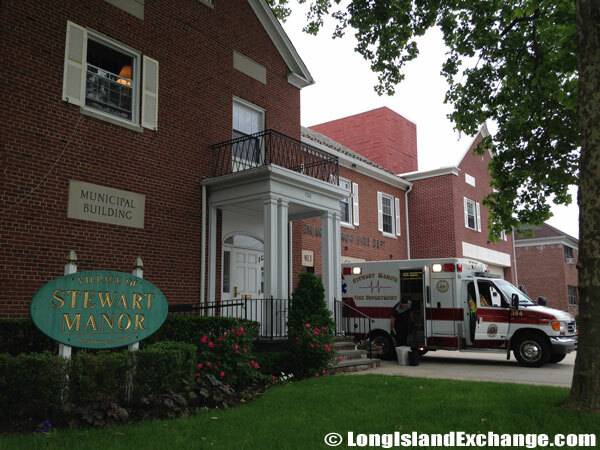 Stewart Manor ZIP Code is 11530. Area Code is 516. The latitude of Stewart Manor is 40.719N. The longitude is -73.688W. It is in the Eastern Standard time zone. Elevation is 85 feet. In 1640s, early Europeans were settled in Hempstead including Stewart Manor, as they used the plains to graze cattle. The neighborhood was sold and named after a certain developer Alexander Stewart. He developed Garden City on the plains and sold off most of the rest of the land. In 1920s, The Realty Associates had planned to develop a portion of Garden City, but that village’s developer, the Garden City Company would not sell land to them. The Associates then decided to buy land as close to Garden City as possible, and in 1925 they began constructing and selling houses on Jefferson Street and Elton Road calling the new neighborhood Sunrise Gardens. 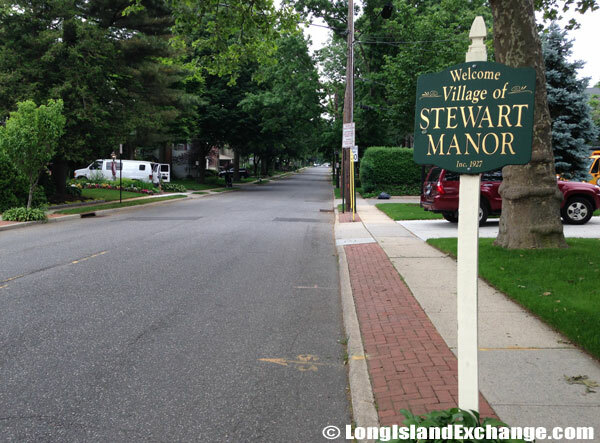 Residents requested to change the name of the community into Stewart Manor and did so in 1926. In 1927, they voted Stewart Manor to become an incorporate village in order to avoid being annexed by the adjacent village of New Hyde Park. A sign accompanies the tree lines streets at the corner of Covert and Chester Avenues. The Municipal Building to the incorporated village of Stewart Manor. The Fire Department is composed of volunteer members. The apparatus consists of two pumpers, an emergency response vehicle, an ambulance and cars for the Fire Chief and the Assistant Fire Chief. Well-known people living in Stewart Manor include Robert P. Meuser (American Rugby Player). The racial-makeup of Stewart Manor comprises of 93.28% White, 1.76% African American, 1.91% Asian, 1.45% from other races, and 1.60% from two or more races. Most of its resident’s ancestries were Irish, German, Italian, Polish, English, Scotch-Irish, French, Asian Indian, and South American. 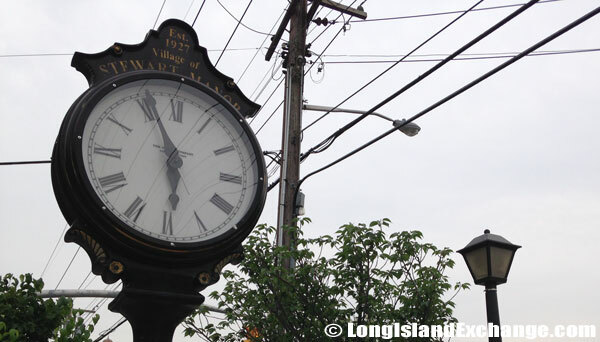 The Village of Stewart Manor old clock welcomes residents. 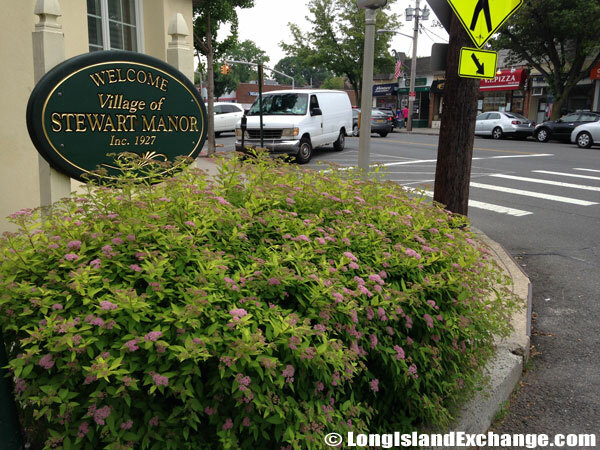 A sign welcomes visitors to the incorporated village of Stewart Manor, incorporated in 1927. 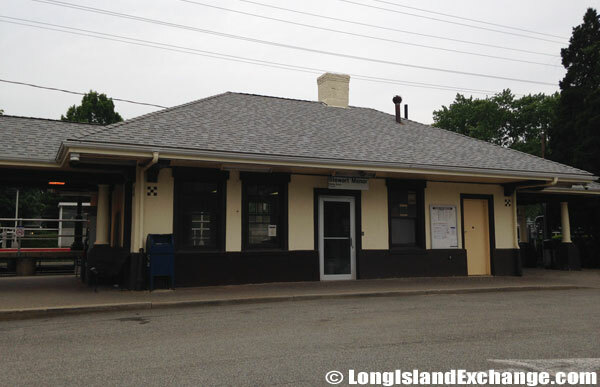 The Stewart Manor train station parking field has a total of 172 free spaces. Stewart Manor Schools, as all New York schools enjoy the distinction of a No Child Left Behind. The school is creating safe, supportive, and challenging environment for all students and staff. The Elmont Public Library also helps the students in Stewart Manor in providing information regarding on their studies. 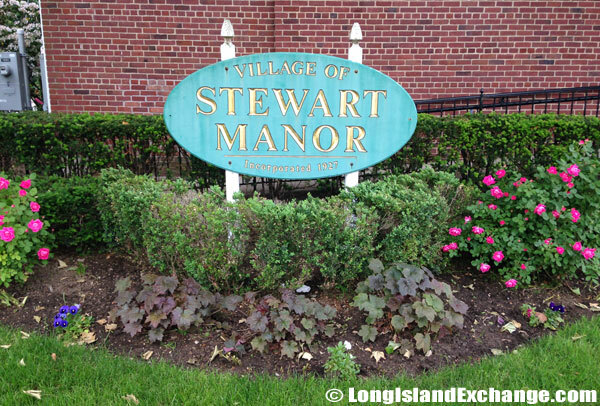 Stewart Manor is a great place to live known for its world-class attractions of New York City and the world-famous beaches of the entire Long Island.